The removal of an obsolete provision in the state constitution would be placed on the ballot for voters’ consideration under a measure advanced from general file Feb. 7. Currently, the constitution prohibits slavery and indentured servitude except as punishment for people convicted of a crime. 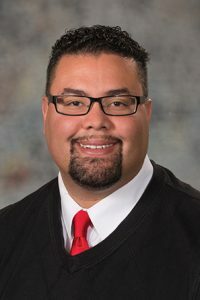 LR1CA, introduced by Omaha Sen. Justin Wayne, would place a proposed constitutional amendment on the November 2020 general election ballot to remove the exemption. Wayne said that after the Civil War, Nebraska implemented a “convict leasing” program that allowed private companies to pay prisons for unpaid convict labor. The practice was used to build the state’s second Capitol building, he said, but ultimately ended in 1940. Lawmakers need to continue to examine the state constitution and ensure that it reflects modern values and belief systems, Wayne said, which includes removing the obsolete language that still authorizes certain forms of slavery. 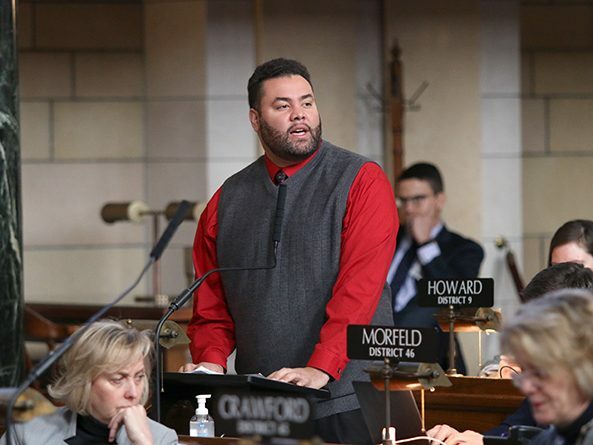 “We have to send a message … that all members of this body believe that slavery is not a Nebraska value and has no place in our constitution,” he said. Senators advanced the measure to select file on a 44-0 vote.